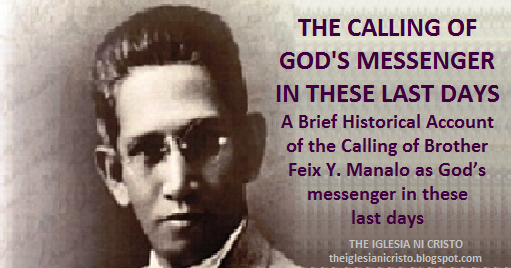 BROTHER FELIX Y. Manalo was born on May 10, 1886, in a small nipa house in Calzada, a sitio of Barrio Tipas, in the Town of Taguig. During that time, Taguig was one of the towns comprising the historical Province of Manila. Taguig was never been under the jurisdiction of the military District of Morong. When the Americans arrived in the Philipplines at end of 19th century, they expanded the jurisdiction of the City of Manila which during the time of the Spaniards, comprised only the area of Intramuros. The Americans added the fifteen “pueblos” around Intramuros but formerly under the jurisdiction of the Province of Manila. In 1901, the Americans combined what is left of the Province of Manila (which includes the Town of Taguig) with the District of Morong, and called the newly established province, the Province of Rizal. He was the first child of Mariano Ysagun, a farm worker and fisherman and Bonifacia Manalo, an ordinary but determined housewife. Both parents were devoutly Catholic. Aling Pacia, especially was a known “manang,” a devotee of San Antonio, the patron saint of Calzada. As the tradition during that time, the infant “Felix” was baptized five days after his birth at the Roman Catholic church of Sta. Ana, Taguig. In 1893 when he was seven years old, he was enrolled in a caton class in Tipas, administered by Macario de Ocampo (“Maestrong Cario”), a school-teacher from Manila. A caton class was a “catechism class” which children were taught “catechism” (the basic Roman Catholic doctrines) with basic lessons in reading, writing and arithmetic. After attending the caton class, he was enrolled in the municipal school of Taguig (at Sta. Ana, the town center of Taguig) for his primary education. He attended the public school from 1893 to 1896 when his studies were interrupted with the death of his father and the outbreak of the Philippine Revolution. In 1898, after the end of the Philippine Revolution (the Spaniards surrendered to the Americans in August, 1898), the 12 year old “Felix” with his cousin Modesto (“Mode“) visited their uncle, a Roman Catholic priest that during that time was assigned in Sampaloc, Manila. Here he found a copy of the Bible and start reading but he did not stayed long in his uncle’s house. It was only a short visit, because the main reason he went to Manila was to find a good job to help his mother earn a living. His counsin Serapio Ysagun taught him photography and he worked in the photography studio in Manila of his other uncle, Manuel Manalo. But he worked their just for a while, because in January of 1899, he returned to Tipas. His mother will again be married. After he returned to Tipas, in February 4, 1899, the Philippine-American war broke out. After peace was established in Manila and it’s environs, the young “Felix” was adopted by his Roman Catholic priest uncle, Mariano de Borja, a half-brother of his father. During this time, his uncle was assigned in Sta. Cruz, Manila. He lived in his uncle’s house in Salcedo Street, Bagumbayan, Sta. Cruz, Manila. His uncle made him finished his primary education in Manila. During the mass, only the bread is received. The priest is the only one who drink the wine. “The Spirit clearly says that in later times some will abandon the faith and follow deceiving spirits and things taught by demons. Thus, Brother Felix made a decision to leave Roman Catholic Church. But it was not an easy decision to make. He was only 16 years old then, living in the house of his Roman Catholic priest uncle, and studying in a Roman Catholic school. But, he can no longer bear being in religion that contradicting the commandments of God written in the Bible. Thus, he made a decision to leave the Roman Catholic Church and the house of his uncle, and stop his studies in a Roman Catholic school. He went back to Tipas on December of 1902. When his relatives and townmates learned about this, they mock him and persecuted him, thinking he will go back to the religion of his birth in doing so. But Brother Felix stand firm with his decision of leaving the Roman Catholic faith. In Tipas, he engaged in different works. During this time, he learned the art of hat-making. In the “holy week”of 1903 (April of 1903), he went with the “Colorums” on their “lenten pilgrimage” (every year, during the holy week, the Colorums trek to the mountains of San Cristobal and Banahaw for their lenten pilgrimage). Because of curiosity, Felix went with them. He heard of the story about the “Santong Boses” (“holy voice”(, which supposed to be the “voice of the Almighty God.” However, Felix discovered it to be a hoax. After the “lenten pilgrimage,” he went back to Tipas, leaving the Colorum camp, with a decision never to return again. In the beginning of 1904, he witnessed a religious debate between a Roman Catholic priest and a Protestant pastor. This event catch his attention with the Protestant sects. Thus, he decided to study and examine different religions. In 1904, he entered the Methodist Episcopal Church. In September, 1904, he attended the Methodist Bible Insitute. After that he became a Methodist lay preacher. Because he wanted to give all his time to his preaching work and the study of religion, he decided to leave his hat store to his friend, Eusebio Sunga. In Tipas, Brother Felix made an intensive study of the doctrines of the Methodists. He compared the doctrines of the Methodists with the teachings written in the Bible. He also found out that their doctrines contradicted the teachings written in the Bible. “What does it profit, my brethren, if someone says he has faith but does not have works? Can faith save him? As a typical Protestant, the Methodists uphold the doctrine that man is justified by faith alone. The Methodists uphold the Arminian doctrine of “universal redemption” – that the Lord Jesus Christ died for all men, He redeemed the whole world, all mankind. Jesus is the Savior and not the church or religion. Just believe in Him and you will be saved. When Bother Manlo went back to Manila, he left the Methodist church and entered the Presbyterian church, and enrolled in their seminary (the Ellinwood Bible Seminary) in Ermita, Manila. For three and a half years, he studied in that seminary. After finishing his studies in Ellinwood, he was ordained as a Presbyterian pastor. However, as what he did before, he again made an intensive examination, this time with the doctrines of the Presbyterians. He compared them with the teachings written in the Bible. And he found out that their teachings also contradict the teachings written in the Bible. The Bible is an open book, which everyone can understand it through devote study of the scriptures. Presbyterians uphold the Calvinistic doctrine of “predistination” that God predetermined before the creation who shall be saved and who shall be condemned. Brother Manalo transferred to the Disciples of Christ. Their missioanry society here in the Philippines was klnown as “Misyon Cristiana.” The Disciples of Christ was also known as “Christian Church.” Today, they are officially known as Christian Church (Disciples of Christ). This denomination is different from the “Churches of Christ. ” The latter broke-away from the Disciples of Christ in 1906 and only in 1928 when they arrived here in the Philippines. Thus, it is wrong to say that the Brother Manalo was a former member of the “Churches of Christ.” He became a member of the Disciples of Christ, not the Churches of Christ. In 1909, Brother Manalo entered the Disciples of Christ and he immediately became an evangelist. Let us take into consideration that he was a graduate of a Protestant seminary. This seminary (the Ellinwood Bible Seminary) merged with the seminary of the Methodist and became Union Theological Seminary in 1908. After a few years, the Disciples of Christ also joined the Union Theological Seminary. Brother Manalo was an ordained minister of the Disciples of Christ. He became an asset of this sect. He build the house of worship of their congregation in Singalong, Manila and was given a recognition for delivering 130 sermons only in six months. He was assigned in Cavite, and after establishing a large congregation of the Disciples in Cavite, he was again assigned in Singalong. This time, he was charged of propagating in Sta. Ana, Manila which is adjacent to Singalong. Brother Manalo also made an intensive examination of the doctrines of the Disciples of Christ (together with their two break-away groups, the Churches of Christ, and Christian Churches and Churches of Christ) they are known today as “Restorationists.” However, through comparing their doctrinws with the teachings written in the Bible, Brother Manalo also discovered that many of their doctrines contradict the teachings of the Bible. 9Then you will be handed over to be persecuted and put to death, and you will be hated by all nations because of me. 10At that time many will turn away from the faith and will betray and hate each other, 11and many false prophets will appear and deceive many people. “But if ye have bitter jealousy and faction in your heart, glory not and lie not against the truth. This wisdom is not `a wisdom' that cometh down from above, but is earthly, sensual, devilish. For where jealousy and faction are, there is confusion and every vile deed. The only church who’s main theme was Christian unity but end up in division (faction) and were divided into three different denominations. “Some men came from Judea to Antioch and started teaching the believers, "You cannot be saved unless you are circumcised as the Law of Moses requires." Paul and Barnabas got into a fierce argument with them about this, so it was decided that Paul and Barnabas and some of the others in Antioch should go to Jerusalem and see the apostles and elders about this matter. “The whole group was silent as they heard Barnabas and Paul report all the miracles and wonders that God had performed through them among the Gentiles. “When they had finished speaking, James spoke up: "Listen to me, my brothers! Seventh-day Adventist uphold that Chjristians should continue observing the sabbath. On May of 1913, Brother Manalo arrived in the conclusion that the true Church is the Church Of Christ. This is the Church written in the Bible and the Church that should be preached. He told his wife his plan to convince his fellow Seventh-Day pastors and the pastors of other sects that it is the Church Of Christ that they should preach. However, his fellow pastors instead mocked him and called him names, called him “insane” and “Colorum” (illegal). After an intense discussion with his fellow Seventh-Day Adventist pastors in a conference in Malolos, Bulacan, he decided to leave the Seventh-Day Adventist Church. He and his wife went back to Manila. He already knew the truth written in the Bible that the Church Of Christ is the true Church that men must enter in order to be saved. He knew that this is the Church that he must preach. He knew that all men must know this truth. But, he is alone, without any support from anyone. He knew that he is just an ordinary person without wealth and power. Who is he to face the large and powerful religions of his time? He emerged from that seclusion after three days and three nights of intensive study and reflection, now certain that God had commissioned him to perform a mission. 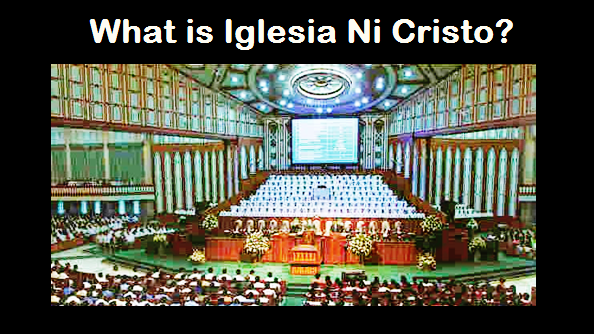 The mission given to him by God was specific: to preach the Iglesia Ni Cristo. That day, he told his wife Honorata that he will leave every thing and he will devote himself in fulfilling the mission God given Him, to preach the Iglesia Ni Cristo. On that same day, they went to Punta, Sta. Ana, Manila, where Brother Felix Y. Manalo first preached the Iglesia Ni Cristo (Church Of Christ) to a handful of people. Entrusting everything in God’s hands, he is know ready to face all odds to fulfill his God given task of preaching the Iglesia Ni Cristo (Church Of Christ), fully confident that God will fulfill His promise to His messenger in these last days.